Our comprehensive, second to none sliding wardrobe interiors range is sure to include a combination that matches your lifestyle and meets your storage needs. Our storage solutions include clothes rails, drawers, trouser hangers, storage for shoes and more. They are suitable for all types of sliding door wardrobes, from shaker sliding door wardrobes to mirrored sliding door wardrobes. 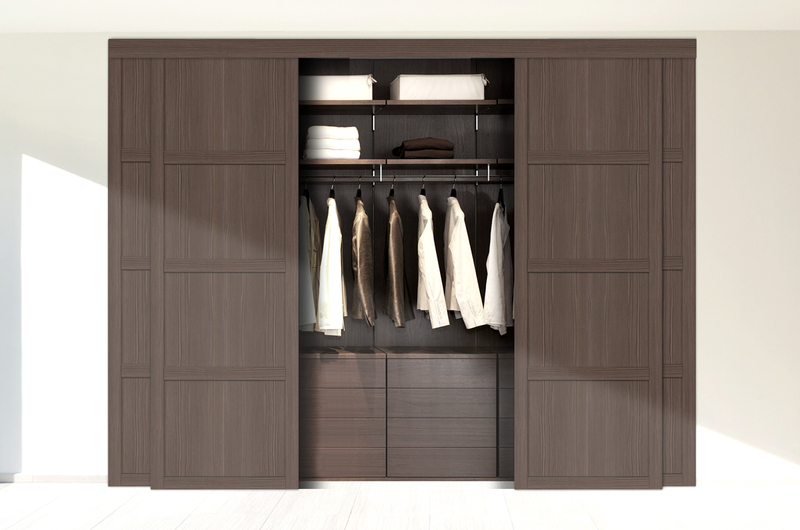 No matter how unique your sliding wardrobe interior needs to be, we can help. Contact our showroom today for more information about our storage solutions. Choose a combination of interior and colour to create the perfect look for you. What Wardrobe Interior Do I Need? Don’t worry If you’re not sure exactly what type of wardrobe interior you require; our experts are here to help. We’ve fitted thousands of wardrobes and can say with confidence that we know exactly which combinations is right for you. We know which storage options are too often overlooked, which storage options are underestimated and even which interior finish works best with your chosen wardrobe style. We also understand that storage requirements change over time and, as such, help you to create a wardrobe interior that is both suitable for your current needs and your future needs. Book online and our team will be in touch with you to arrange a time and date for your design appointment.